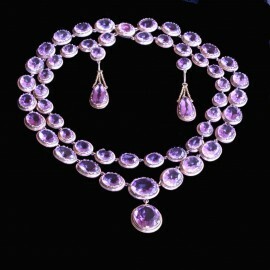 Amethyst Jewelry There are 24 products. 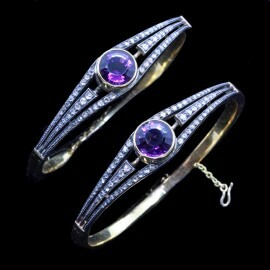 Antique Victorian pair of bracelets bangles. 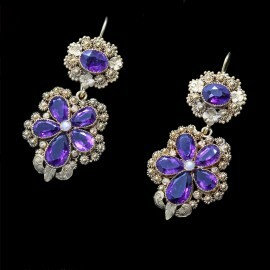 18k gold, silver, amethysts, rose cut diamonds. Made in England 2nd half 19th century. Come with fitted cases by S.J. Phillips by appointment to the Royal Family and with original receipt from S.J. Phillips. For full description, please see below. 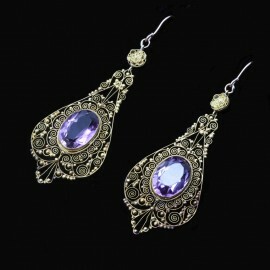 Antique Regency Georgian earrings long ear pendants. 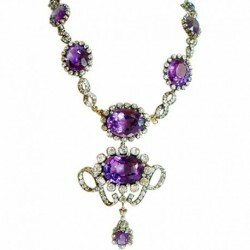 14k yellow gold and amethysts. Made in England 1820 - 1830. For full description, please see below. 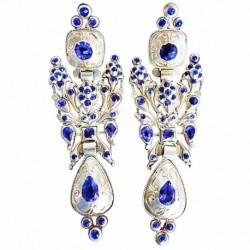 Antique Georgian Regency earrings ear pendants. 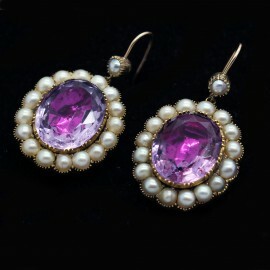 15ct yellow gold, amethysts and little pearls. Made in England circa 1820's. <P><P>Measurements: Weight is 6.6 grams. <P><P> For full description, please see below.